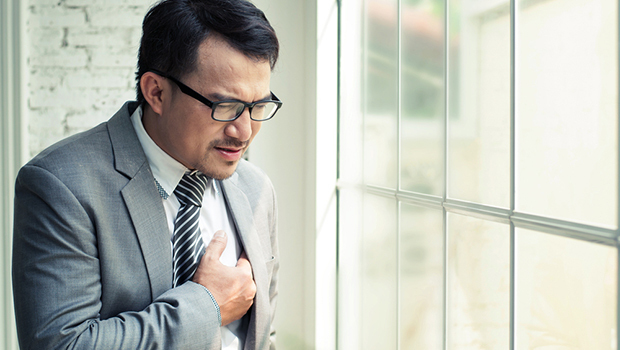 We've all heard anecdotal stories of moments of great stress being suddenly interrupted by a heart attack. 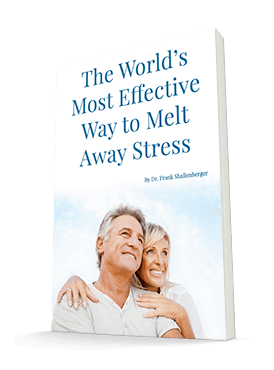 In fact, it's commonly understood that significant levels of stress can trigger heart attacks. However, until now, there hasn't actually been a lot of research backing up this logical connection. But thanks to research recently presented at the American College of Cardiology's 65th Annual Scientific Session, we now have a better understanding of how stress and cardiovascular events are linked. And it could help you avoid suffering from this fate. It isn't exactly surprising that there's a connection between stress and inflammation. But this study is the first to utilize medical imaging to actually show this connection. Researchers found that activation of the neural tissues associated with fear and stress does help predict the likelihood of a cardiovascular event, including a heart attack or stroke. For this study, the researchers evaluated the PET/CT scans of 293 patients who did not have cancer or established cardiovascular disease. The participants' average age was 55, and all were older than 30. The researchers were able to evaluate activity in various regions of the brain, bone marrow, and arteries. Then they grouped the images according to the level of brain-stress activity. They looked at bone marrow in particular because it can release immune cells that create inflammation throughout the body in response to a stressor. After the researchers adjusted for age, gender, and other cardiovascular risk factors, they found that the risk of a cardiovascular event went up 14 times for every unit increase in brain stress. In fact, over the course of five years, 35% of the highest-stress group experienced a cardiovascular event compared to only 5% of the lowest-stress group. The researchers believe that these cardiovascular events may occur as a combined result of the activation of the fear centers in the brain, bone marrow activation, and arterial inflammation. They're hoping to conduct further studies to determine whether it's possible to disrupt this chain reaction. They also want to find out if lowering stress levels will directly lead to lower arterial inflammation. While the researchers continue to tease apart the influence of each of these factors on cardiovascular events, I think it's sufficient for us to know that they all play a role and to go ahead and tackle both stress and inflammation. Try to interrupt this vicious cycle whenever possible by taking care of your body and looking for ways to cut back external stressors in your life. I would also recommend you read the chapter in my book, Bursting With Energy, that's devoted to breath meditation. This is a simple, 10 minute-a-day practice that can significantly reduce the effect of stress on your body. These great habits can help keep excess neurological inflammation to a minimum. So will taking nutrients, such as those found in Reduloxin. This formula is especially effective at reducing systemic inflammation.